More might really be more, after all. Maximalism is shaping up to be one of the hottest looks for 2019. But what does that mean for the minimalists out there? Is it all over? Should every minimalist’s New Year’s resolution be to swap their white walls for Victorian-inspired wallpaper? The good news is, in the 2019 style stakes, there’s room for all of us: maximalists, minimalists and those of us sitting on the fence (garden-side white, letterbox turquoise). It’s simply a matter of personal style. But do you really know yours? At Colourplus we have something to suit the most flamboyant maximalist and the most discerning minimalist. Read on for some of the New Year’s loveliest wallpapers, custom curtain fabrics and interior paint. But first, what is maximalism? Maximalism is: lavish, bold excess. Maximalists don’t care for the defining lines between genres or styles. A maximalist interior uses patterns and colour and texture together, oh my! Maximalism isn’t: hoarding or a relaxed approach to cleaning. It’s opulence not chaos. 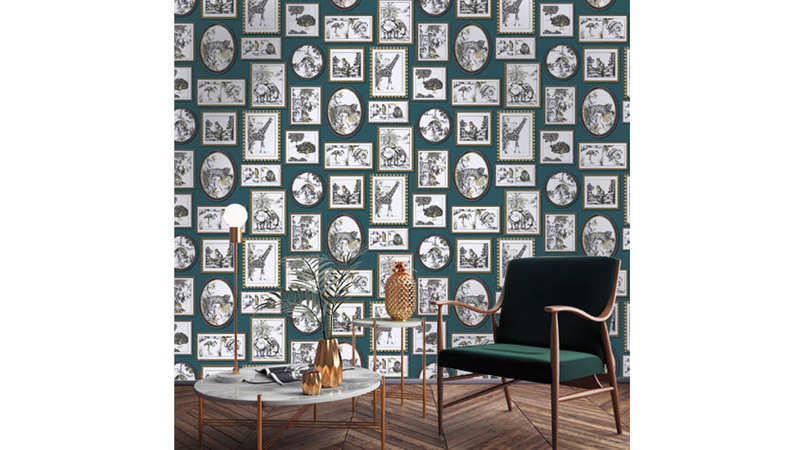 Think: ornate wallpaper (like the Glasshouse collection) golden, bird-shaped taps, lacquered trinket boxes, sumptuous rugs and… a pet leopard reclining on a jewel-green chaise. Minimalism is: white surfaces, clean lines and a pared back approach to furnishings (in, you guessed it, white or neutral tones). Minimalism isn’t: austerity or spartanism. It’s about carefully choosing what’s necessary in an interior and paring back excess. Think: polished concrete, Scandinavian-style furnishings, solitary well-chosen art-works (in white or black or grey) and… a ban on the consumption of red wine inside. 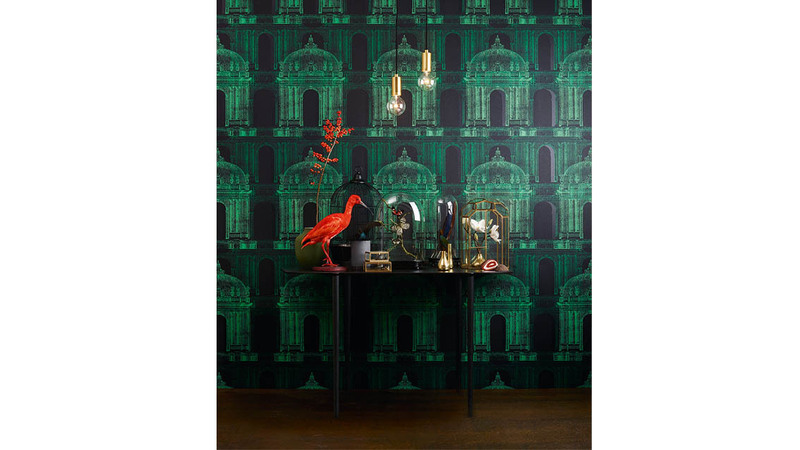 Maximalism comes into its own when wallpaper is on the agenda. Those wanting inspiration should feast their eyes on the visual banquet these new released collections Glasshouse, Glasshouse Khroma and SMILE. In Glasshouse giraffes and elephants gallop, proteas unfurl, birds glide and bold geometrics create striking patterns. This is an eclectic range with options to create a sophisticated and opulent look. Throw away the rule book: combine a geometric modern wallpaper with a lush botanic and see where it takes you! Inspired by the Victorian period, the Glasshouse Khroma collection features botanical gardens, greenhouses, collections of curiosities. Those wanting an ornate, antique feel should consider these options. SMILE is a vibrant and fresh wallpaper collection. Vivid plains – oranges, yellows and blues – meet eclectic pictures and patterns. 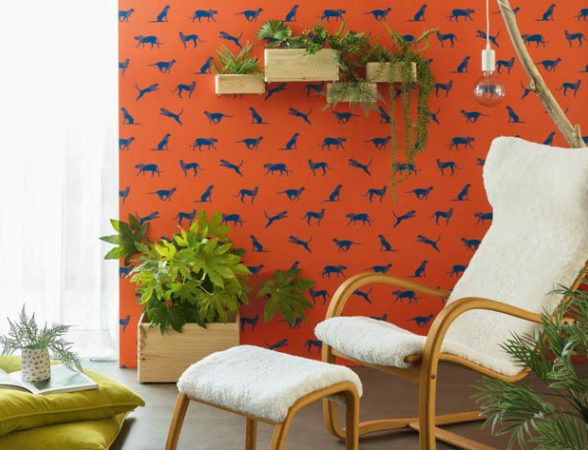 The papers from this collection create rooms that pop with playful attitude. But can minimalists appreciate wallpaper? Yes! 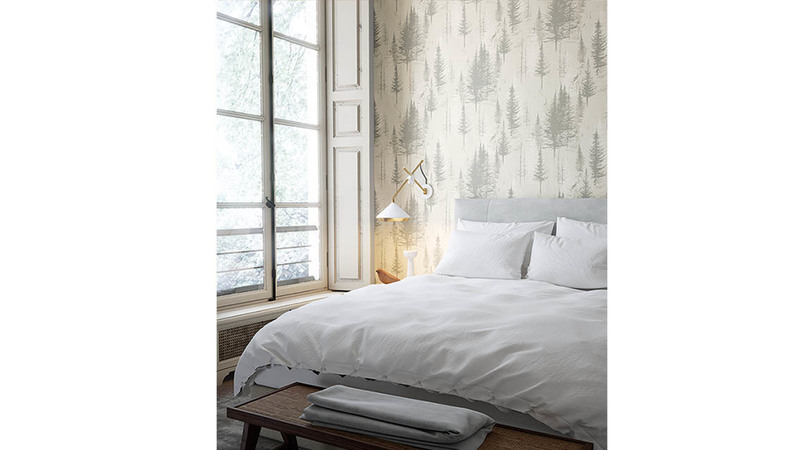 That’s right, there is modern wallpaper fit for a minimalist. Take a look at the Earth collection. The papers here offer understated colours inspired by nature. Use them to add texture and subtle warmth to a minimalist space. Go large or go home! Maximalism demands drama and custom curtains can provide exactly that. Sumptuous moody fabrics like Soul Collection’s Aurora Lagoon bring texture and elegance to a room. 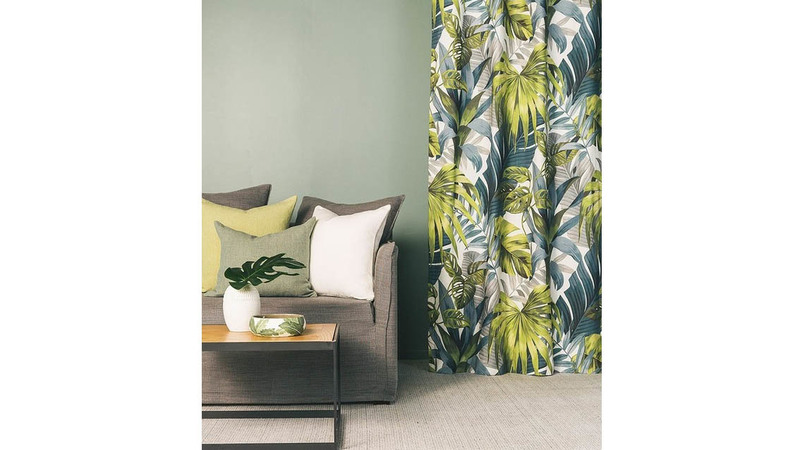 Colourful geometric patterns like Warwick’s Ceri or exotic, tropical prints like James Dunlop's Aruba also lend themselves well to this lavish aesthetic. And why stop there? Pair a heavier curtain with an elegant, floaty sheer curtain to add another layer to the look! 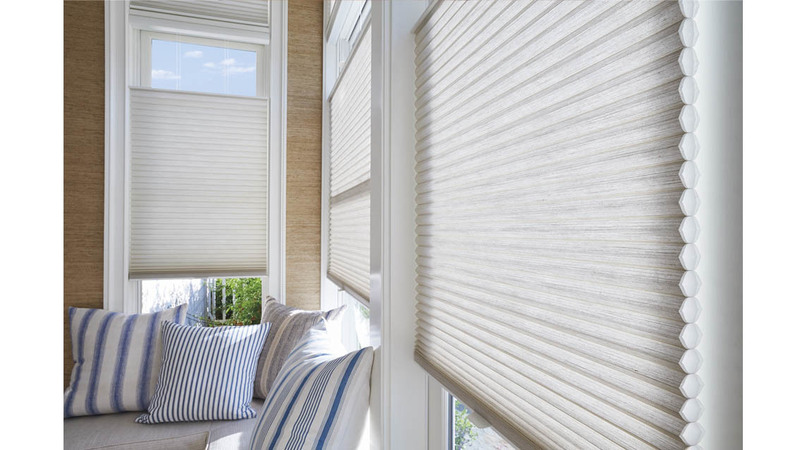 Duettes, the window treatment that’s also known as the next best thing to double glazing, are premier honeycomb or cellular shades. Beautiful but understated, their linear shape is crisp and clean. Duettes come in a range of subtle, neutral fabrics. What more could a minimalist want? When it comes to interior paint, maximalism demands colour and luxurious finishes. Minimalism demands… shades of white. Dulux Design Effects is a statement range of paint. Those with maximalist inclinations will gravitate towards more lavish options like Suede Effect and Gold Effect. And for the minimalists? Stone Effect can add texture in a range of muted, natural colours. While your maximalist counterparts will, of course, be wrapping their arms around their Pucci and WORLD-clad torsos in delight at the news 2019 is ushering their aesthetic into our interiors, you can rest assured that this is not the end of minimalism. More than ever, in 2019, interior style is about what you, as an individual love, and what works in your home. So maximalist or minimalist, pop into your nearest Colourplus store for expert interior style advice.